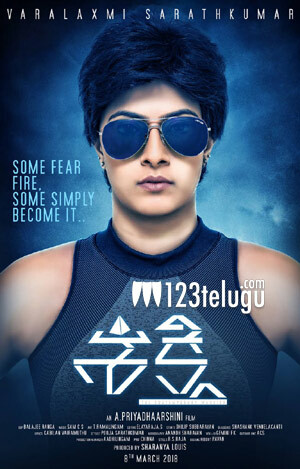 Varalaxmi Sarathkumar, daughter of senior Tamil hero Sarathkumar, is all set to debut in Tollywood with a female-centric film titled Shakti. This morning, Rana Daggubati unveiled the film’s first look poster. Shakti is an intense action thriller and it will address contemporary issues faced by women. Shakti will be directed by Priyadarshini. A leading Tamil hero will be essaying the antagonist’s role in the movie. Shakti will go on floors by October 15. The film will be made simultaneously in Tamil and Malayalam. Dulquer Salmaan unveiled the Malayalam version’s first look, while Sivakarthikeyan and Vighnesh Sivan released the Tamil version’s first look.